How many of you reading this Friday Epistle love interruptions when you are working on a project? How many of you treasure the times when your best laid plans are torn apart by some situation or problem that just comes out of left field? You can ask Jana when I get on a project, I am like a dog with a bone. I will skip meals (which says a lot), forget appointments, and work till I drop or the project is complete. 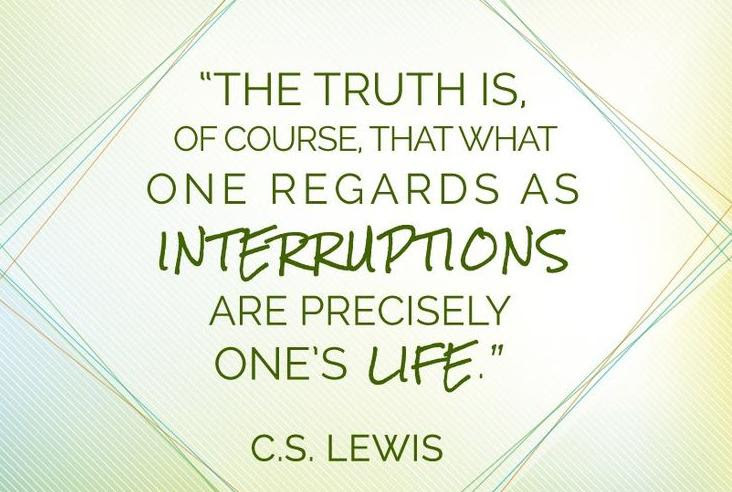 I generally don’t like interruptions. However, the Lord has taught, and continues to teach Jana and me a key principle for ministry: “Ministry is what happens in the interruptions.” In the text from Mark 5:21-43, Jesus, in His ministry to Jairus and his family ,and to the woman with the issue of blood, gives us three clear contexts to consider where ministry happens in the interruptions. I believe the text defines ministry for us, as it reveals the healing and saving power of Christ in the world. In this passage, Mark records for us a session right out of Jesus’ school for effective ministry. This fits really well with our new Sunday school series which is titled: Good news for the neighborhood part 2. I am excited for this Sunday morning and for the opportunity it affords to learn some practical ways to minister to our neighbors and those we come in contact with in our daily lives. At that time, at that age, this had to be one of the most remarkable things I’d ever heard. There was plenty to keep me occupied in the conversations of just our front seat. Honestly, it changed traffic for me ever since. It’s also proved to be one of the slippery realities I’ve ever had to hang onto. Not because it was hard to comprehend, just difficult to live into consistently. Every car. Every driver. Every passenger and every person texting them to see when they’ll arrive or to remind them to pick up the milk. It doesn’t take long for the cloud of plans, worries and hopes in your own vehicle to crowd out the similar cluster of signals in the windshields of those around you. Add that to the highways your GPS reads to you, streets named in morning traffic updates, and the half dozen roads you can drive without thinking about them we soon have a city full of traffic. Each connected to jobs, homes, schools, stores and transition. Multiply this just by the communities that your relatives and best friends live in and soon we’ll be completely awash in the detailed lives of the people you know and those you only see in passing. This week, the readings draw our attention to David, Paul, and Jesus. All three of them people whose actions, plans and intentions shaped history in tremendous ways. Each of them also had an eye for the people passing by. David, the newly minted Hero. Paul, the unstoppable Apostle. And Jesus. The Christ. 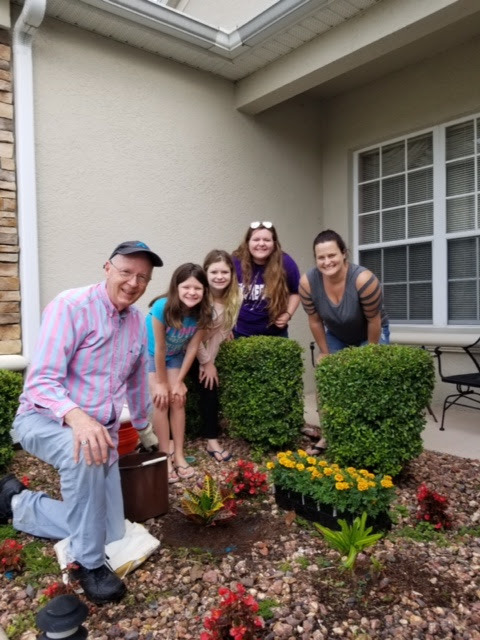 We will see how God calls us to take actions that improve life for those in our immediate circle of influence and for those we know only in passing. For us and for those one boat over. We also want to invite you to our Fourth Bible Intensive this week. Monday – Wednesday evenings from 7.00-8.30, we will be considering the NT book of Hebrews. Whether the book of Hebrews is a favorite of yours or if you’ve never read a book of the Bible before, you are welcome. Each evening, we will share dessert, glimpse the glories of Jesus, meet new friends, and see how the book strengthens the inside of our faith while preparing us for external challenges to the faith. Did you know that Hebrews teaches that Jesus is greater than Moses? Did you know that I knew that? See how that all fits together. We look forward to meeting you and sharing God’s word together Sunday. May God bless you abundantly. Seventy kids, and a large number of our parish, have been showing up this week. It’s been fun, a little wild, and every day has been a blessing. Here are a few snapshots from the week. 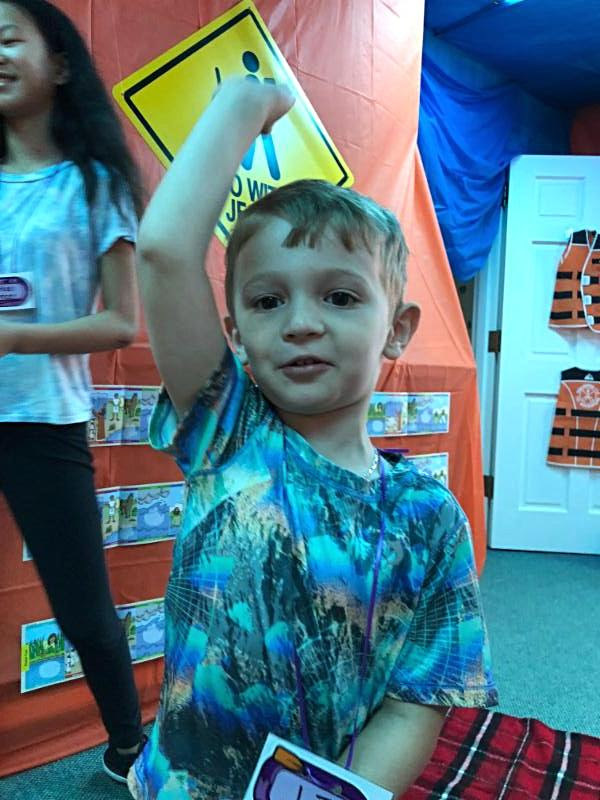 VBS impacts the spirit and soul. First of all it’s the interaction of the people, kids and adults smiling, laughing, serving, focusing on our Lord together. I love being with the staff as well as the children. It is refreshment at its best and more. The soul gets nourished. A friend of mine used to teach that when we taught, the first thing forgotten was the content. The second thing forgotten was the style, how you taught what you taught. And the thing remembered longest was the attitude with which we taught. Our attitude nourishes the soul. We also can bless the spirit of those present. We can awaken a thirst. A parishioner sent me the following, borrowing from Max Lucado. The phrase “train up” descends from a root word that means to develop a thirst. Hebrew midwives awakened the thirst of a newborn by dipping a finger in a bowl of crushed dates and placing it in the baby’s mouth. To “train up,” then, means to awaken thirst. What an awesome gift it is! This is a work of the Spirit to the spirit. I cannot tell you how much I have enjoyed working VBS, especially with Caroline & Soleil. It is such a joy (& I don’t use that term lightly-few things give me joy) to be around young, lively people. It is wonderful to be around these wonderful creations of our Lord. This is my second year as a teacher at VBS. Watching the children truly grasp these stories, and hearing their excitement, just reinforces the joy of our Lord everyday for me! I felt like the stories truly came alive for the kids in our class (and we had 14 kids!) and I cannot wait to see what the Lord does for these children in the coming year. 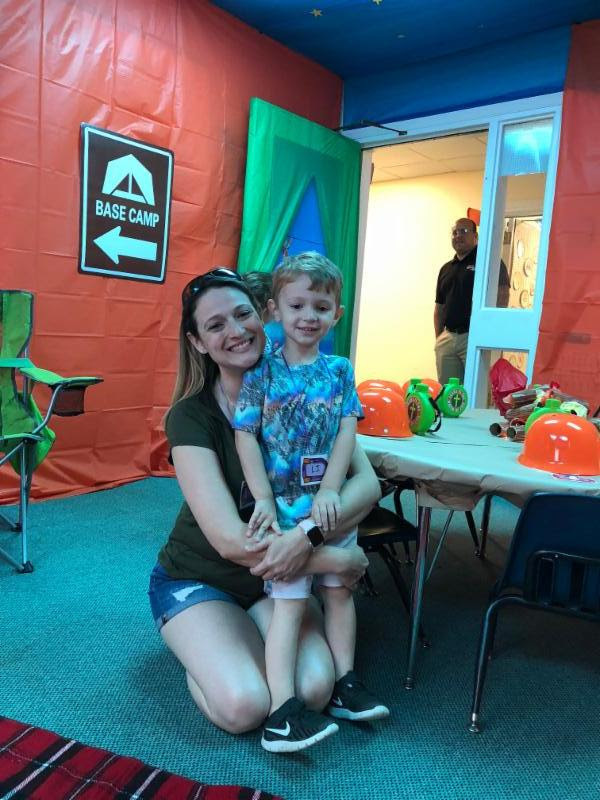 This is my fourth year at VBS and my third year working in the crafts area. 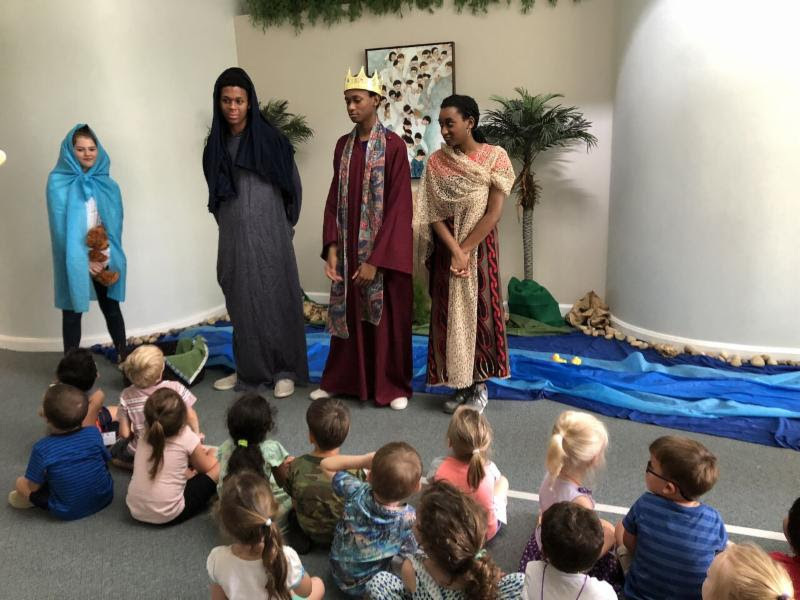 When the kids enter my class they have already heard the Bible story from their teachers, and perhaps seen it reinforced in the other special areas like skits and snack. This year the kids are internalizing the stories in a way I’ve never seen in years past (the pre-K group told me all about leprosy!). They are so excited to tell me everything they are learning from the Bible. 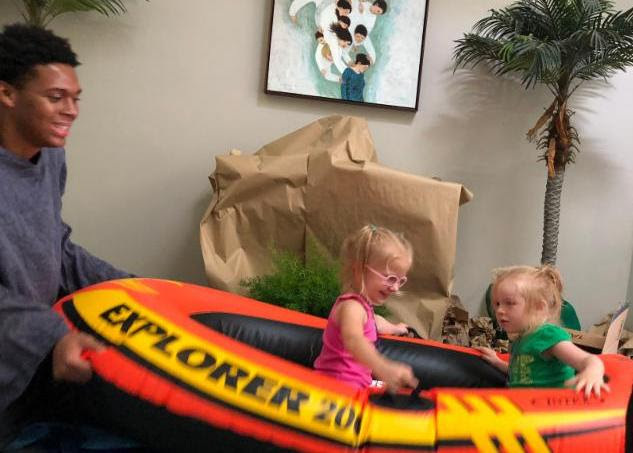 I am hearing from parents again and again what a wonderful time their kids are having. I know they are going home and sharing the Bible stories with their families. What a beautiful thing for the knowledge and love of Jesus to spread from our volunteers to the children and then to their families and beyond. 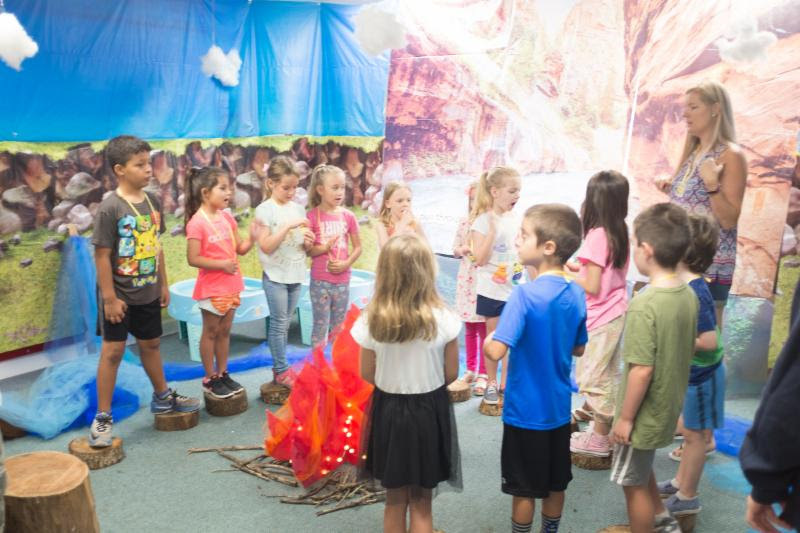 More than ever God is giving me a glimpse of the eternal significance of VBS! “You can fear (or in my case, stress-out), or trust God. But, you can not do both at the same time.” I heard this statement on the radio a couple of weeks ago, and I needed that word! 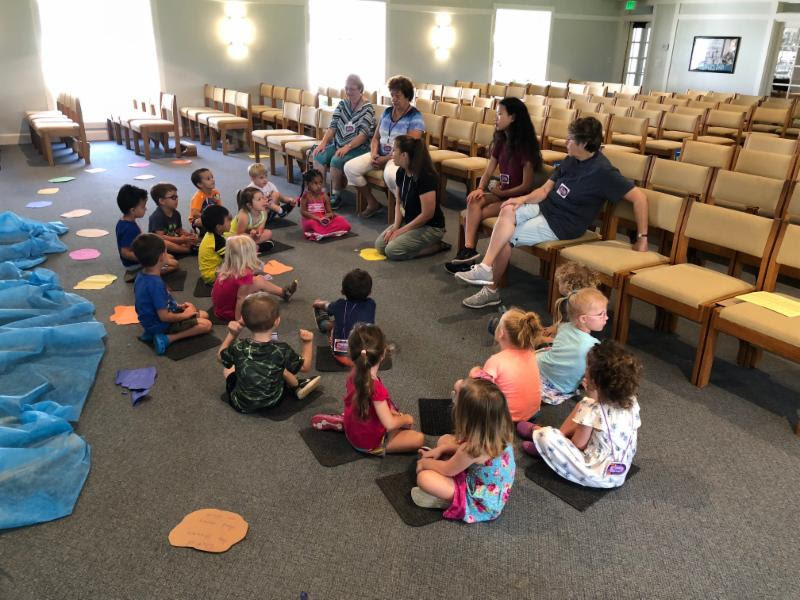 At that time, Chris Reilly and I were still trying to secure volunteers to lead VBS classes and children were being placed on a wait list since classes had filled up quickly. Once I trusted instead of stressed, God (as He does year after year) provided wonderful volunteers. All have been AMAZING. Our community is so blessed by their dedication to our children. 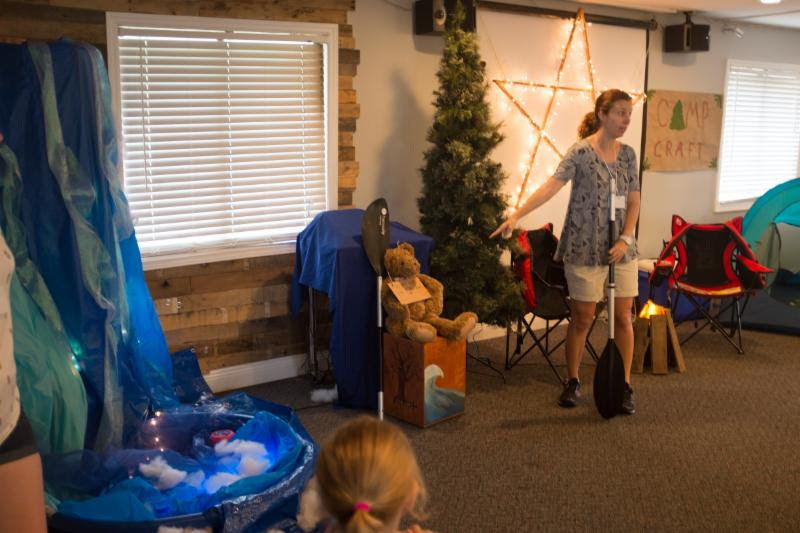 One of the aspects that I enjoy most about VBS is the opportunity for diverse people to serve/attend and remain engaged. Volunteers are already signing up for next year. Many of them are the young people who have attended VBS. How awesome is that? They have been learning about God’s love and now they plan to share it, although I doubt they will wait until next year to do so! I can honestly say that the week of VBS is one my favorite weeks of the year. Every year it is a week of joy, love and encouragement. The joy is seen on every face of a child. The love shines through our volunteers. All who come (children and parents) are encouraged to seek, meet and accept the Lord. “For all the promises of God find their Yes in God.” 2 Corinthians 1:20. Please come Sunday to celebrate with us. We will have more stories and songs from our week of adventure!